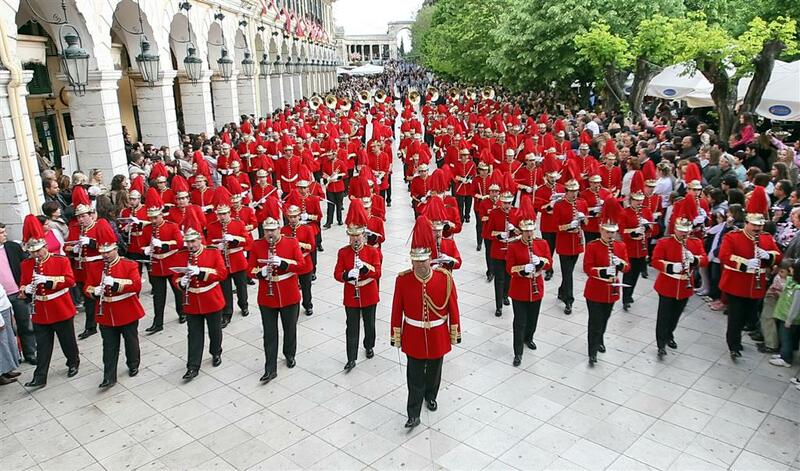 They say that in Corfu the chances of finding a family, a member of which is not a member in one of the corfiot philharmonic bands are from slim to none. In every family there is at least one person who either plays at least one musical instrument or sings at a local choir ! Besides the corfiot philharmonic bands it is also worth mentioning: the Symphony Orchestra of Corfu , Corfu’s Conservatories, the bands that the locals or the Ionian University of Music students have created, the teams of the Ionian University and of course the local singers that solely sing traditional cantatas. Let us not forget that after all music keeps us company at any time of our lives. From classical music that doctors suggest to pregnant women and the “happy birthday” song that everyone has been singing ever since childhood to song that are sung about marriages and in occasions of farewells or even at funerals! This type of art is a part of our everyday life (actually right now while i’m writing, I am listening to classical songs played by corfiot philharmonic bands!) in the car on our way to work, at work, at the stores where we go shopping and on TV. Nowadays in Corfu you will hear music everywhere, on the streets, at the squares and at the little streets in Corfu town! You can even feel the music in the accent of the locals. It should be pointed out that music gives birth to culture and raises the educational level of people and helps makes a place special and different from another and Corfu island owes a large part of its culture to the corfiot philharmonic bands.